Muhammad Ali had his sights set on winning more than boxing titles. Boxing was his platform, but everything Ali said was about delivering his message. This piece set out to translate that message through the use of typography and images. 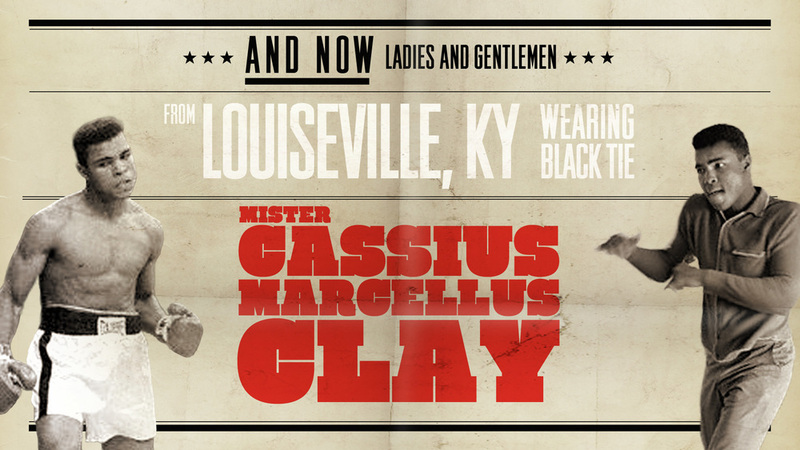 The style gives a fresh look to timeworn boxing posters – while the type’s bold and aggressive style mimics Ali’s in-your-face, no-nonsense attitude. The piece was created to advertise Greenlight’s representation of Ali.